Now comes the time for a classic, the Airfix Ancient Britons set! 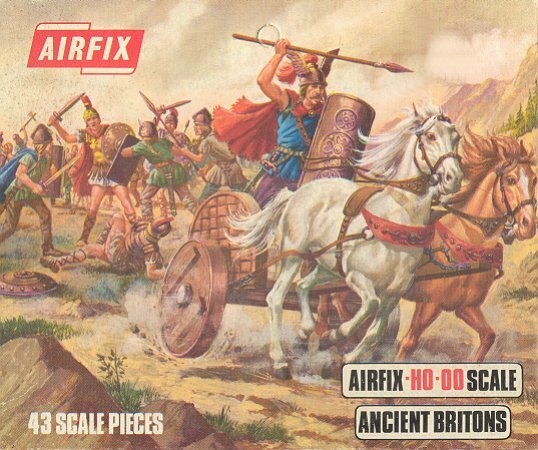 The new Airfix box uses the same box art as the old one, with some "Photoshop" editing, the bronze weapons have become iron ones, and the sky is foggier in the new one. 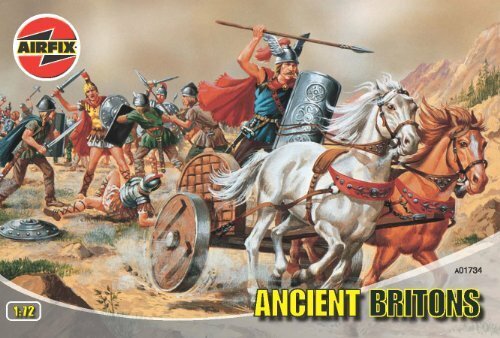 It quite nicely depicts the set, although the man in the chariot is like the leader but with a spear. 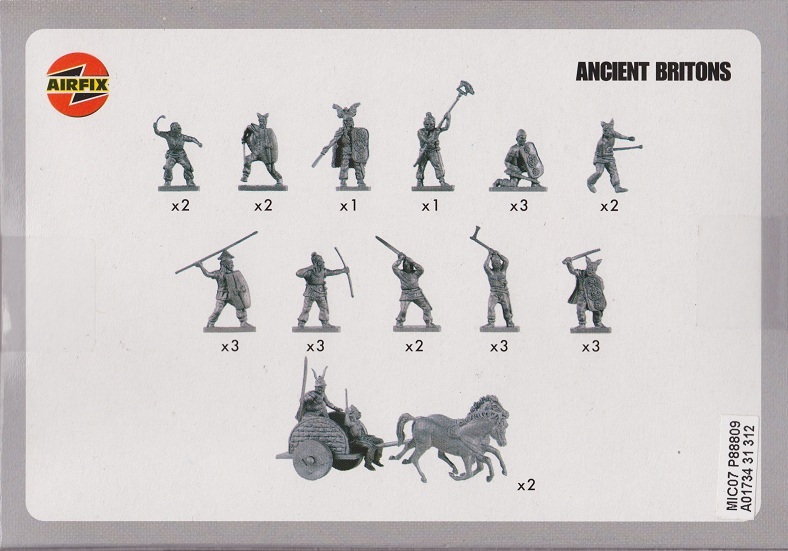 The Hat one is interesting, maybe nicer, but it seems more like an alternate cover for the Revell Celts set, and seems made to make think it is a new set instead the old Airfix one. The sculpting is quite good, maybe not super sharp but you clearly see what you must, and they can be painted easily. As happens quite often, the man running with a sword seems that apparently he has no arm. The poses could be more dynamic, but considering this is a set from 1969 they stand quite well by modern standards. The height is correct, and maybe the worst thing are the horses, which are quite small and unnatural, as nearly always with Airfix horses. The historical accuracy is good, something notorious in a very old set. You could argue there are too many engraved shields, but they are historically correct, and you can't judge just by the amount given. The problem comes with the chariot, which would most probably have had spokes, not solid wooden wheels, as this would be used for transport carriages, not for fast chariots or chariots for bringing the nobles to battle. 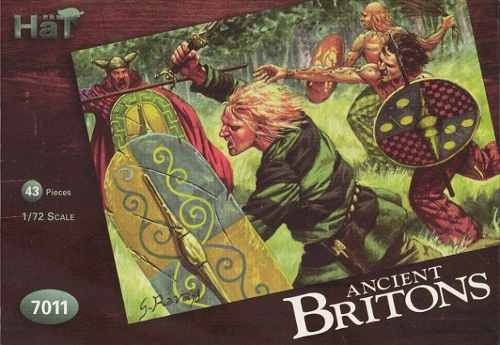 The hairstyle of the archer seems rather more germanic than celtic, so this man would be more a Celt with germanic influence rather than a Briton. They are potentially useful for nearly all celtic tribes, so they score highly here. Celtiberians, Gauls, Helvetians, Belgae, only Ligurians and Boii would be hard to fit, although could still be used. This is a old school set, more focussed to be used as a toy than a collector's item, so it has a good deal of funness. The inclusion of two chariots is very welcome, and generally all men are doing something useful. The injured man (very common in old sets) and the man running with the sword attached to his body are the only dull ones. 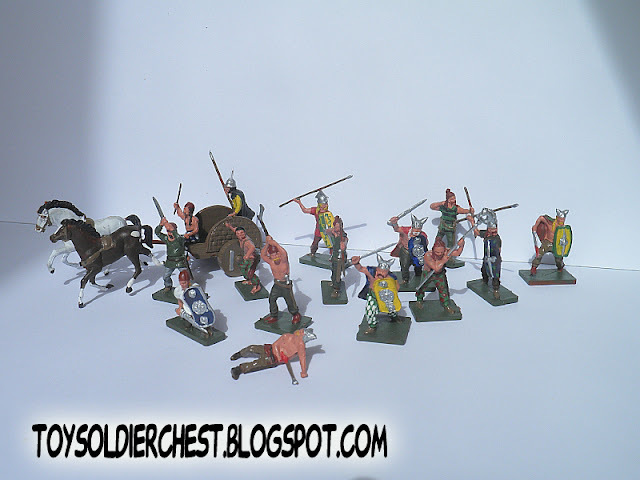 In this case, you would have to buy two sets to have a good quantity of them to be of good wargame use, but this is not a problem at all. They have been massproduced during decades, reissued also by Hat, and they are now very easy to find both second hand or new. 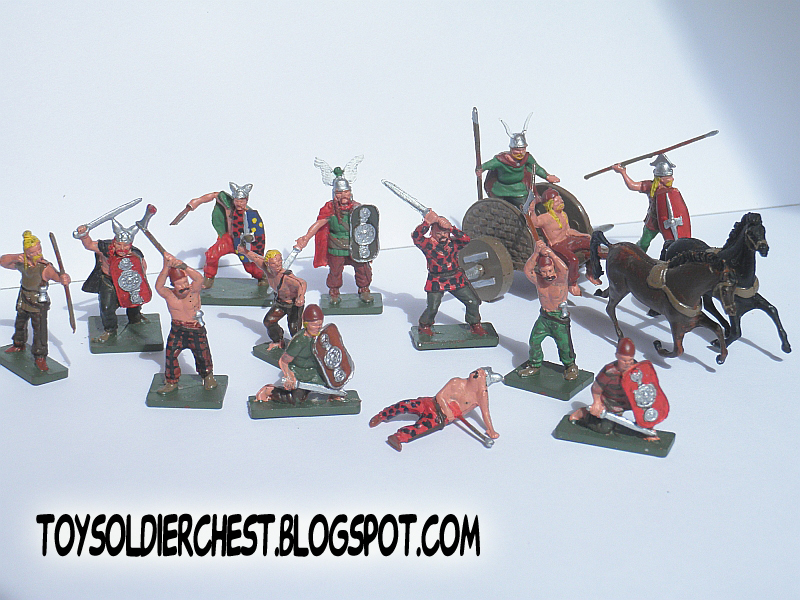 Once you have bought two sets, you have a good representation of warriors. 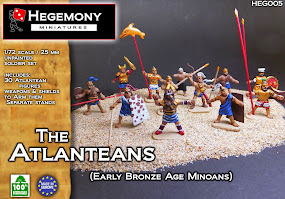 We miss a bit of spearmen, which would be more common than swords, but this can be solved easily with a bit of modification. You can get them dead cheap on eBay, and more in big lots. 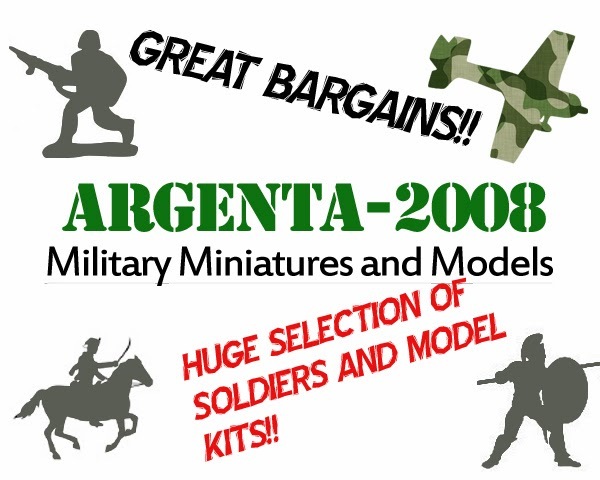 You can also find them easily n any decent model shop, at a very reasonable price. Hence the 10 price value for quite nice figures, knowing that many manufacturers will sell you two chariots and charge you as a full set. This soldiers (both HaT and Airfix) suffer from a super-slippery plastic, that is awful both to paint and to glue (probably worse to glue). In theory you shouldnt need to glue anything, but if you want to modify you will have quite a job. For painting, you will require a very good primer and a sealant, and even with this, the paint on the spears will chip very easily. 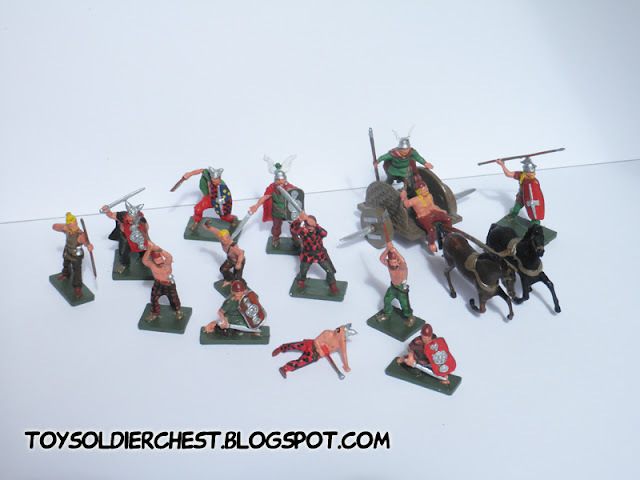 A nice and great set, it represents how all sets should be, poses of all the types including slingers, archers, sworsdmem, axemen, etc, giving you two unique figures, giving you iconic accessories like the chariots, they could be better on giving you more quantity of men but that is easily solved by their price. 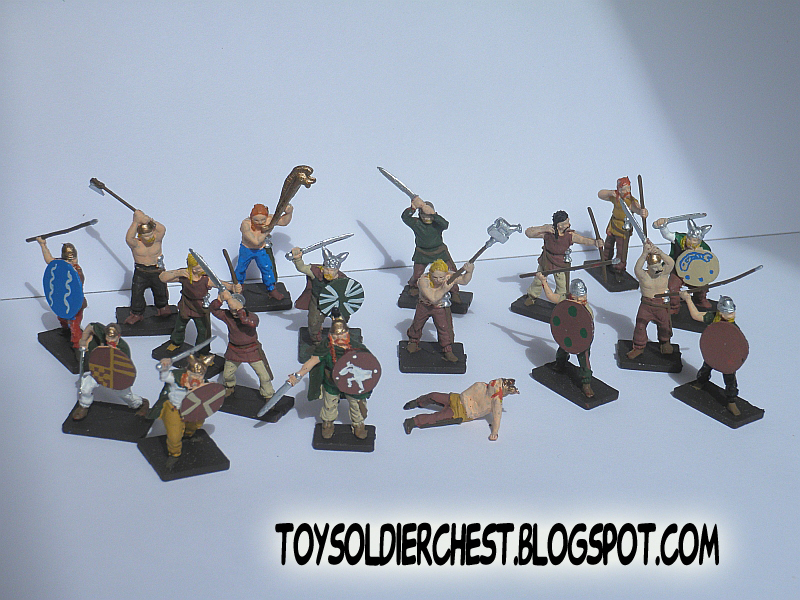 Although somebody who's been with the hobby for long must be tired of seeing them, they are really a very fine set. 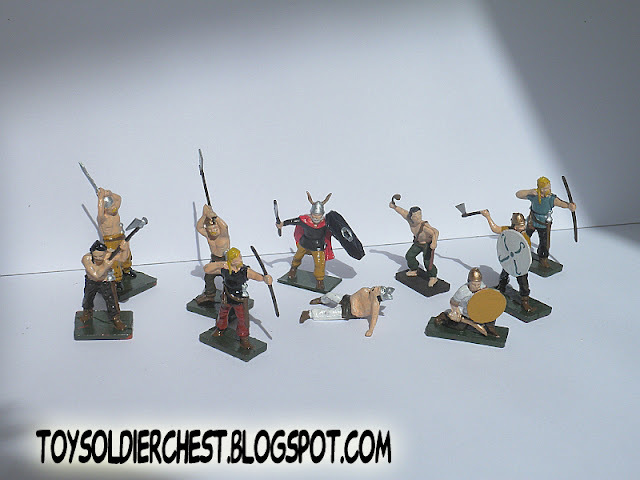 These figures have been painted and modified by myself. I have given them different weapons and shields in some cases, and have added scythes to one of the chariots to make it more deadly, (called covinni) as a roman statement from 44 AD says. This is disputed historically, but some blades too heavy for a man to use have been found , and they also appear in ancient Irish traditions. Many thanks :) . You have a very interesting blog too!